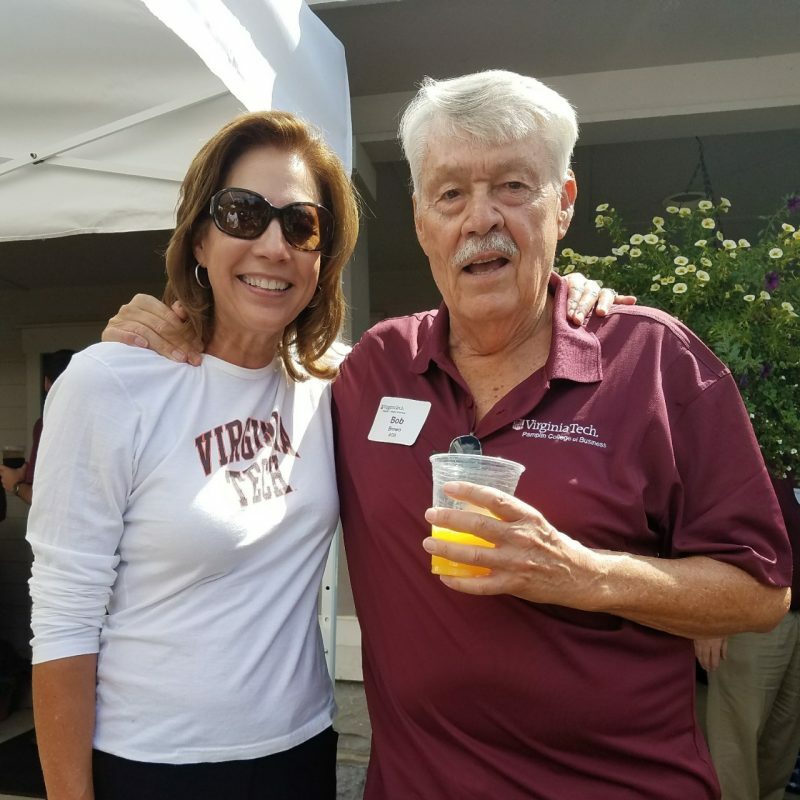 The Department of Accounting and Information Systems benefits greatly from donations from its alumni, friends and corporate sponsors. These donations are especially critical in the current fiscal environment, in which public universities face a combination of rising costs and declining state funding. Funds from our alumni, friends and corporate sponsors have been instrumental in helping our department to bridge the funding gap in recent years. We welcome any donations that you are kind enough to provide. Unrestricted contributions to the department’s annual fund are especially helpful, as they have an immediate impact on the department’s day-to-day operations. 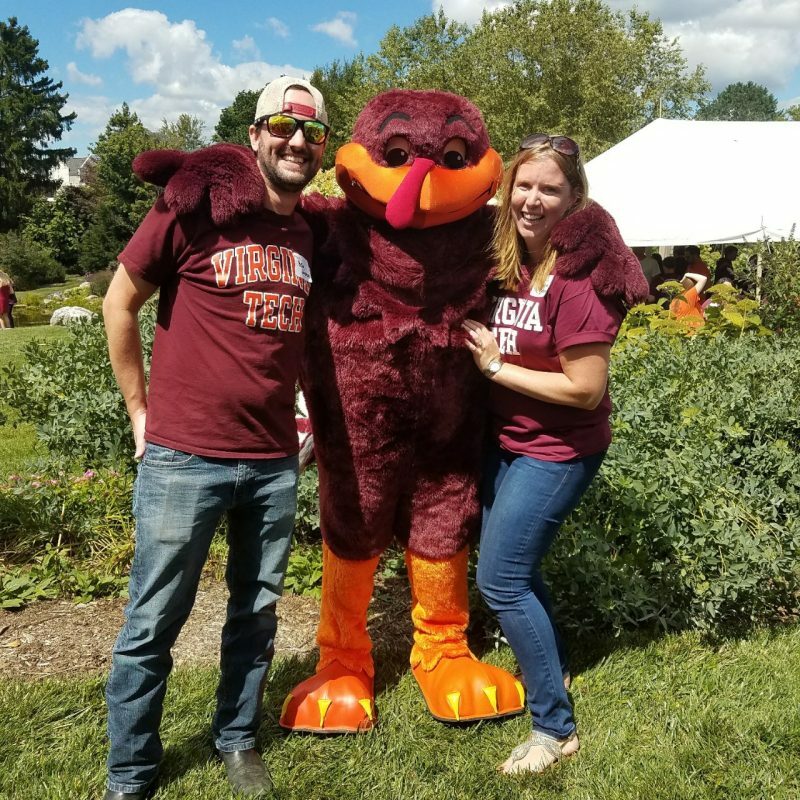 For donors capable of making larger contributions, endowed gifts and estate gifts are highly appreciated, as they provide funding sources for the department’s longer term needs. To make a contribution online, select College of Business as the Area, and set the Fund equal to Accounting and Information Systems Department Annual Fund. To donate by mail, print the pledge form here. 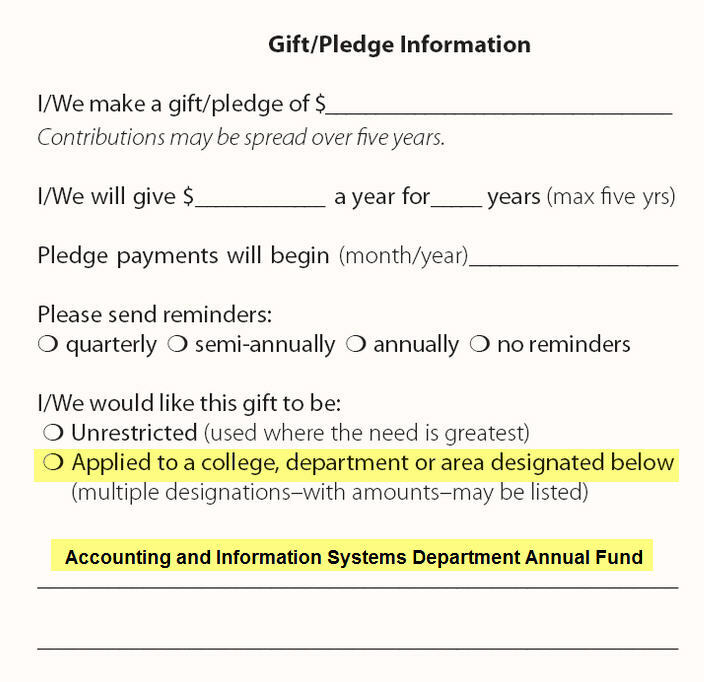 In the Gift/Pledge Information section, select Applied to a College, Department or Area, and include the words Accounting and Information Systems Department Annual Fund. Completed forms can be mailed to: University Development (0336), University Gateway Center, Virginia Tech, 902 Prices Fork Road, Blacksburg, VA 24061.